Sale travelled across the Pennines for this rearranged fixture against Huddersfield with the picturesque Yorkshire venue bathed in sunshine. The game started fairly evenly with both defences forcing a number of errors but the visitors were first to affect the scoreboard as the reliable boot of Chris Johnson made no mistake with two penalties. Gareth Rawlings was already having an influential game in the second row and, following his good work stealing the ball in a ruck, Tom Ailes galloped deep into the home side’s territory before off-loading for Sam Stelmaszek to scamper in for the first try. Sale’s defence, a major strength all season, then survived a sustained period of Huddersfield pressure before the blue and whites broke out to devastating effect with Matt Bradley making good yardage before releasing Adam Aigbokhae to race in. Sale started the second half on the front foot and were soon awarded another penalty which Chris Johnson kicked to extend the lead. However, the Yorkshiremen were proving resilient opponents and another period of considerable pressure, during which Sale’s Adam Aigbokhae was shown a yellow card, was eventually rewarded with a try and conversion. The table toppers were not be derailed though as they went through phase after phase before moving the ball out wide for Jon Blanchard to plunge over the line. This is John’s first ever senior try for the club, a momentous occasion for the ex m&j player. The only question remaining was whether Sale could score a fourth try and achieve the additional bonus point but, despite Huddersfield being reduced to 13 players late on, they could not quite seize the opportunity, with Tom Ailes try being ruled a double movement. 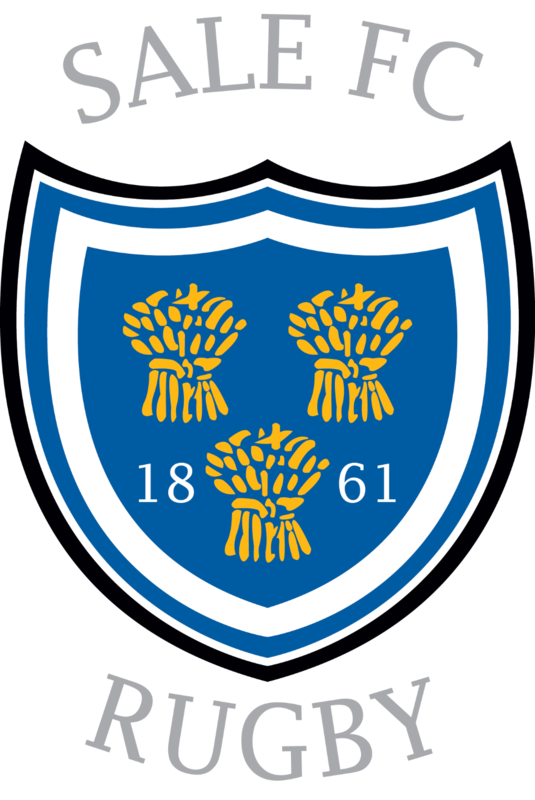 Yet another win on the road extended Sale’s winning run to 15 games and increased the gap at the top of National League 2 North to 5 points, with nearest rivals Stourbridge losing in a high scoring game at Tynedale. Next week we travel to Luctonians who languish at the bottom of the table. Sale FC were in the same position two years ago and know how hard they’ll be fighting to stay in National 2 North.